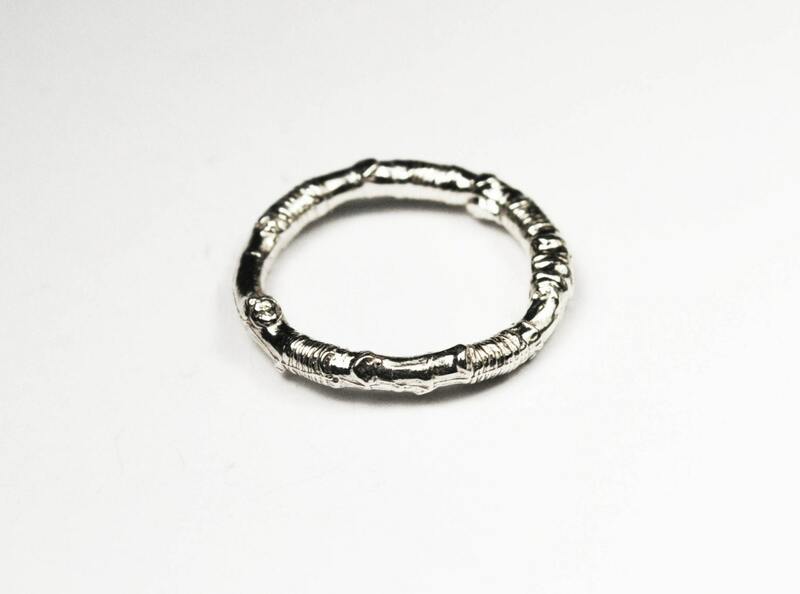 McCarren Park Sterling Silver Twig Ring --closed circle_READY TO SHIP. Found by my daughter during an especially fun early winter frolic in Brooklyn's McCarren park, this twig is now immortalized as a ring. 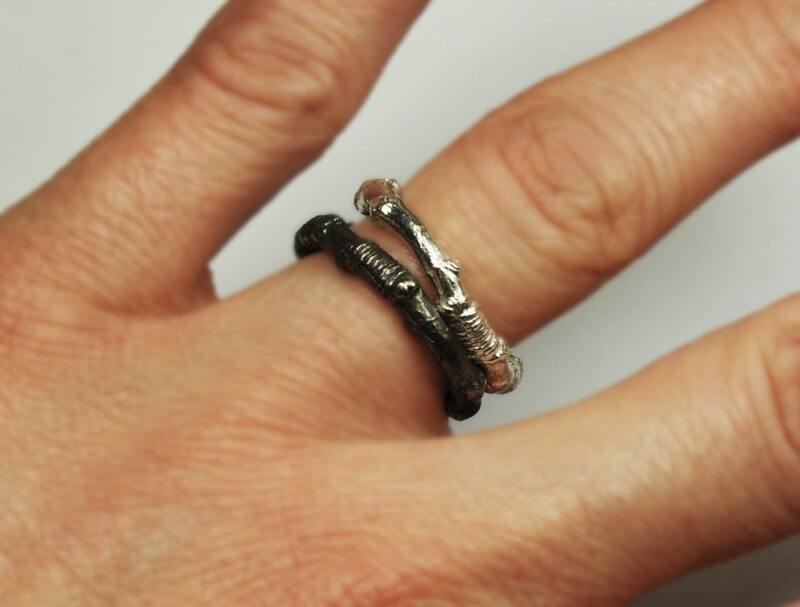 Cast in solid sterling silver, the rings in this listing are in stock and ready to ship. 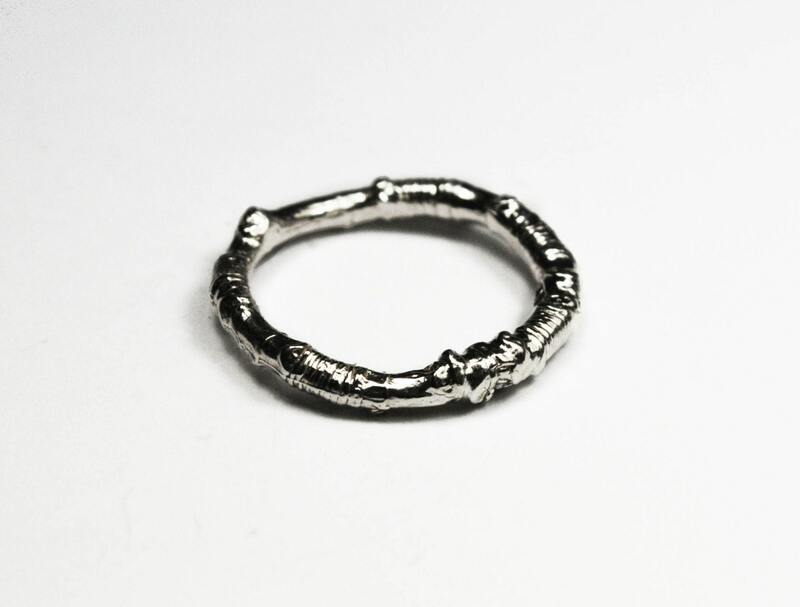 If you need a different size you can have a ring made to order (US sizes 4-9) via the link below: https://www.etsy.com/listing/227561037/mccarren-park-sterling-silver-twig-ring?ref=shop_home_active_35 Available finishes are white silver, partially oxidized or fully oxidized black. 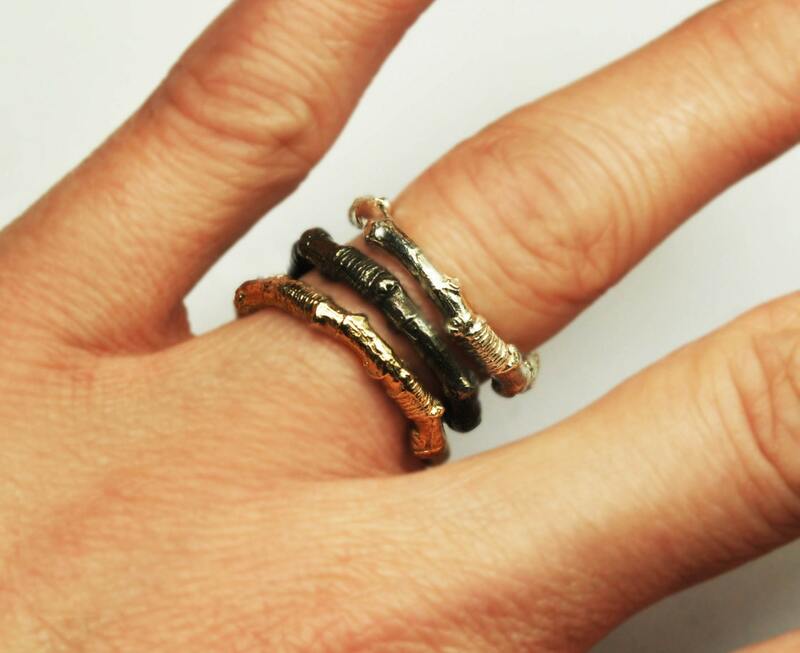 Looks stylish on its own and also great as part of a stack. 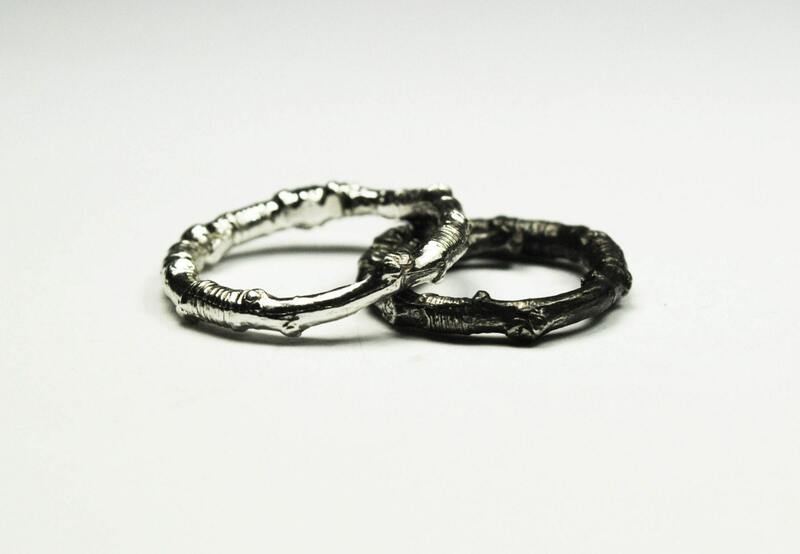 Listing is for one twig ring.